The workshop will take place at Ecole Centrale de Lyon, Ecully, France. The whole event will combine a SIG 35/ERCOFTAC workshop (30-31/5), and a meeting of the Henri Bénard Pilot Center (1/6). 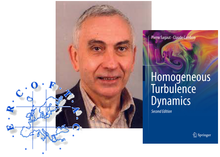 The SIG 35/CHB/ERCOFTAC workshop ‘A system approach to turbulence and interactions, from single phase flow to two-phase flow’ will display advanced modelling and theory, and possibly new experiments. The CHB meeting will feature a seminar by Eduardo Weisfred about the achievements and legacy of Henri Bénard.